Jonathan LeVine Gallery is pleased to announce its forthcoming relocation to Mana Contemporary in Jersey City, New Jersey. After twelve years of operating in the Chelsea art district of New York City, gallerist Jonathan LeVine will return to his Jersey roots, bringing his cutting edge aesthetic and ethos along with him. With a newfound focus on community and collaboration, the newly named Jonathan LeVine Projects will be an essential venue within the up and coming arts community of Jersey City and an integral part of its cultivation towards becoming a thriving creative center. Jonathan LeVine Projects will be located at Mana Contemporary, a leading arts destination dedicated to celebrating the creative process. Founded in 2011, the organization unites artist studios, exhibition spaces and ancillary services in a single location. 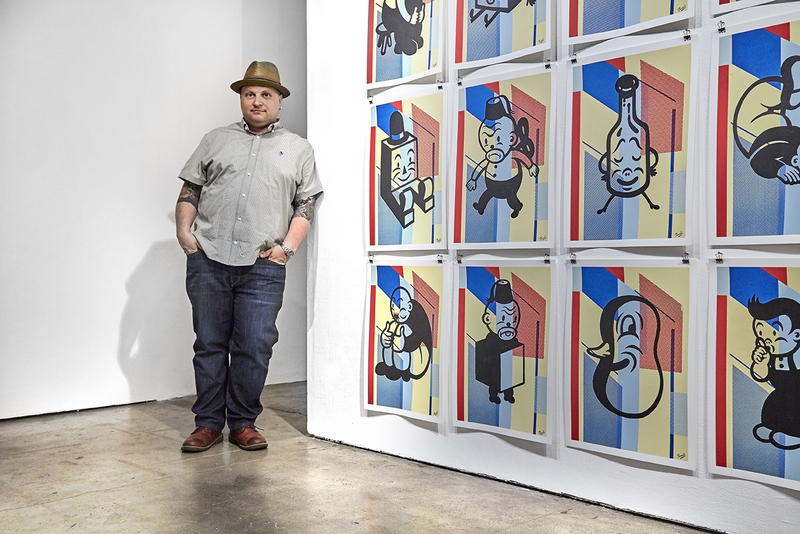 Jonathan LeVine Gallery began working with the Mana Urban Arts Project in 2014 and have since collaborated on an array of public art initiatives, including murals by Shepard Fairey, How & Nosm and Nychos, as well as The Juxtapoz Clubhouse presented at Mana Wynwood during Art Basel Miami 2016. This dynamic partnership with Mana Contemporary will continue to allow Jonathan LeVine Projects the ability to further develop engaging and unique programming, such as pop-up shows and museum quality exhibitions with the possibility of travelling to satellite Mana locations in Chicago and Miami. The inaugural exhibition at Jonathan LeVine Projects, Welcome to New Jersey, will open on February 18th and feature the following artists: Adam Wallacavage, AJ Fosik, Alessandro Gallo, Alexis Diaz, Andy Kehoe, Ashley Wood, Augustine Kofie, Beth Cavener, Camille Rose Garcia, Carlos Ramirez, Chloe Early, Cryptik, Dan Witz, Diego Gravinese, Eloy Morales, Erik Jones, EVOL, Gary Taxali, Haroshi, Hush, Jeff Soto, Jim Houser, Joel Rea, John Jacobsmeyer, Jorg Heikhaus/Alex Diamond, Josh Agle (Shag), Kazuki Takamatsu, Mab Graves, Martin Wittfooth, Mary Iverson, Matt Leines, Matthew Grabelsky, Michael Reeder, Miss Van, Nick Walker, Nychos, Phil Hale, Ron English, Shepard Fairey, Tara McPherson and Tristan Eaton.